By James Alfini. Published by Lexis Nexis Matthew Bender. 2013. 5th edition. 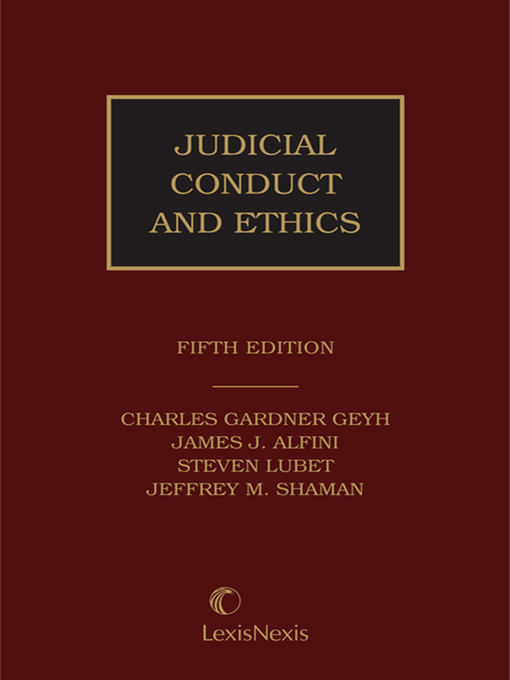 Judicial Conduct and Ethics analyzes judicial actions and accountability regarding issues of judicial demeanor and conduct, ex parte communications, administrative duty, financial activities and disclosures, civic participation, and political activity. By Clark Neily. Published by Encounter Books. 2013.